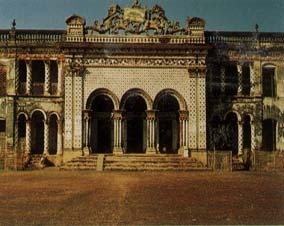 The land loard Hem Chandra Chowdhury was established this Angle house (Palace) in 1890. This Angle House is at Hemnagar, Gopalpur, Tangail. This Angle House palace contain 3 km the oldest architect building complex. This place can be very attractive for travellers. Anyone can come from Dhaka to Gopalpur. Distance is about125 Km. from Dhaka. And only 10 Km. away from Gopalpur to Hemnagar. you can go by bus or tempu.